Tucked away in a quiet, peaceful spot yet bang in the middle of Durham City is a beautiful, historic gem of a wedding Venue. With amazing Gardens, a Medieval Hall (celebrating its 800th Birthday in 2017! ), and a beautiful House, Crook Hall and Gardens is a quintessentially English place in which to get married. Somehow able to be both subtly understated yet magnificent at the same time Crook Hall offers Couples a way to have an extremely unique Wedding Day which really does reflect their own personalities – and that for me is just perfect! Crook Hall appeals to a very different type of Couple to most venues. Relaxed, laid back yet perfectly on trend and with a fabulous attention to detail it really is my kind of venue! And to be honest, this is exactly how I approach Weddings with my Couples. Although I am happy to provide an evening only disco at Crook Hall most Couples book me for the whole day. Having someone to represent you, take the strain off you and help mould a day which truly reflects not just what you want, but who you are. I’m delighted to be recommended by Crook Hall & Gardens both as a DJ and as a Master of Ceremonies as well as to provide Creative Event Lighting. Prior to your wedding we will have been in contact with each other and most likely met up at least once as well as e-mails, telephone or Skype chats. 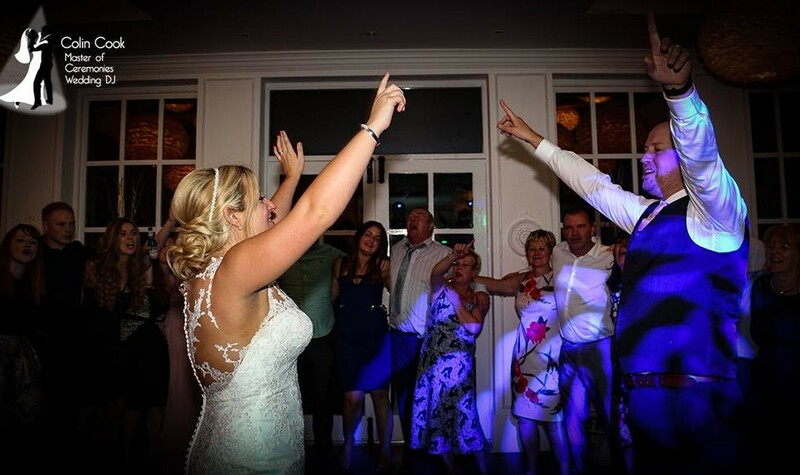 For the evening we’ll have discussed your music preferences – the songs you love and hate along with your requests, First Dance, any family/group dances and the all important End of Night celebrations. By this time I’ll also have a good idea of your personalities, sense of humour and the type of atmosphere you envisage as well as details of some of your guests. If you have also booked me as your Master of Ceremonies then we’ll also have discussed your timeline, your personalised Introduction, ways to keep everything on track as well as strategies to keep all of your guests entertained and involved throughout the day, keeping the energy levels up and the atmosphere perfect, many ways to personalise the day and ensure that it reflects your tastes and personalities – and of course all the music for the day! My job is to help you to relax, enjoy your day and help to create lasting memories of a fun and unique day. So – weeks of preparation complete and your Wedding Day is here. If you have booked me for your Ceremony then I will arrive in good time to have everything carried up to the Hall and set up. 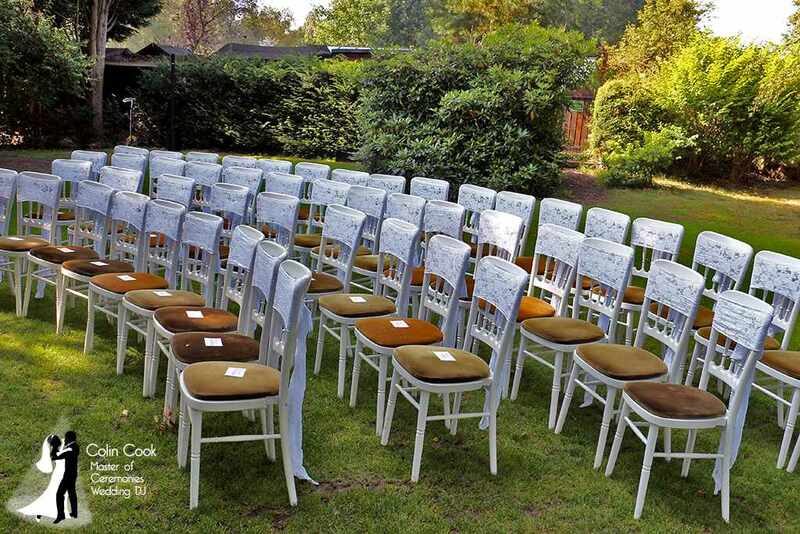 Many couples, especially in the Summer like to have an outdoors Ceremony so I use a high quality, discreet system for this with all of your music pre-arranged. Of course, as we are in the North East of England we always need a Plan B in case the weather doesn’t play ball, so (again depending on what you have booked) I am also already set up in the Medieval Hall with a second set of your chosen music. Whilst your guests arrive I play background music to welcome them and to create a warm and friendly atmosphere. Nobody wants to stand around in silence! I liaise closely with the Crook Hall team as well as the Registrars on the day and help guide guests to the correct place. If you have booked my Wedding Monogram service then your custom designed and unique Wedding Monogram can be displayed in the Medieval Hall either during your Ceremony or later, during your Wedding breakfast – whichever you prefer. 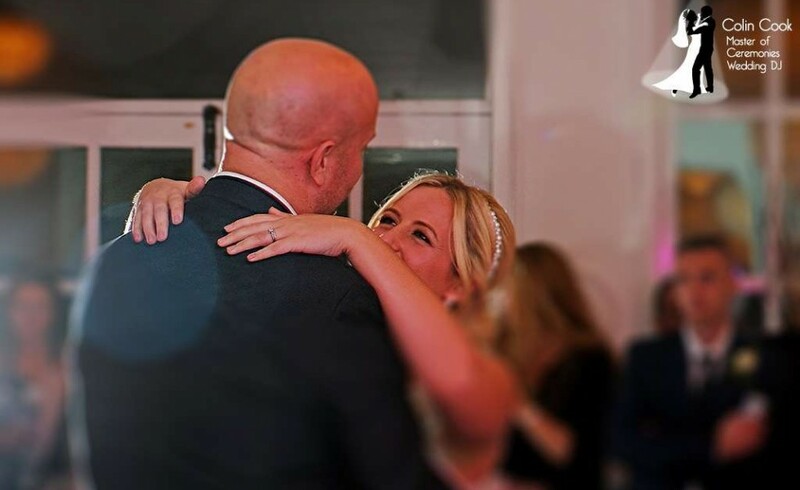 Once you are ready to go, I start your Processional song, bringing the volume up to the perfect level to soar over your guests and create that perfect emotional connection. You walk in and when you get to the Registrar I wait for you to catch your breath, hand over your bouquet to your Bridesmaid and then slowly fade the music out. Your Registrar will then conduct your Ceremony. If you have any readings and require a microphone for them (down to personal preference) then I have provided a radio microphone and stand. After the main part of the Ceremony you will sign the Register and whilst this happens and you have some photos taken I will play your chosen music at the correct levels. At a nod from the Registrar I fade this out and he or she will complete your Ceremony and then introduce the new Mr & Mrs (or Mr & Mr or Mrs and Mrs!) to your guests. Huge applause starts and your Recessional song starts at the chosen point, loud enough to punctuate the applause and help the celebratory atmosphere. You then lead your guests out to the Drinks Reception and I keep the volume level appropriate, gradually reducing the volume as the room empties. Wow – now you are married!!! Now to the Drinks Reception. If you have booked me to provide music for this then I will have carefully arranged a playlist for you, using your choices and tastes along with a wide range of other music to ensure there is something for everyone. 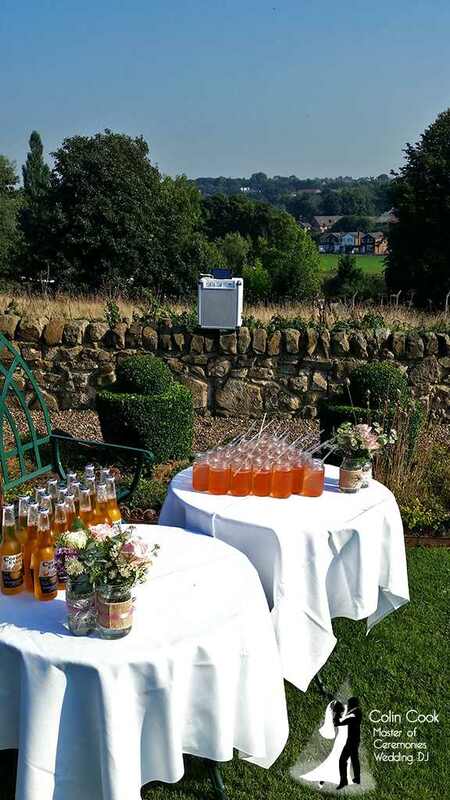 For an outdoors Drinks Reception I will use a special self-powered system on the Cathedral Lawn, Bowls Green or Courtyard, Orchard or whichever stunning spot you choose (Crook Hall has an amazing selection of spaces!). During this time I will also be on hand to ensure that everything is running smoothly, to meet and break the ice with your guests, ensure that everyone is feeling included (especially important with the more mature guests and those who have travelled a great distance) and to help the photographer if required in their search for the right guests at the right time. Liaising with the Crook Hall team, when we are ready for food I then start to move people back into the Medieval Hall. Having your own Master of Ceremonies really helps here because, as well as keeping the atmosphere lively I am with you and your guests for the whole day. I don’t need to be sorting food/drinks/bar/tables etc so can really help you to relax whilst also freeing up the staff to make everything perfect for you. I can also ensure that those with less mobility can be invited in a few minutes earlier which helps things run more smoothly and to move your guests in a gentle yet positive manner. 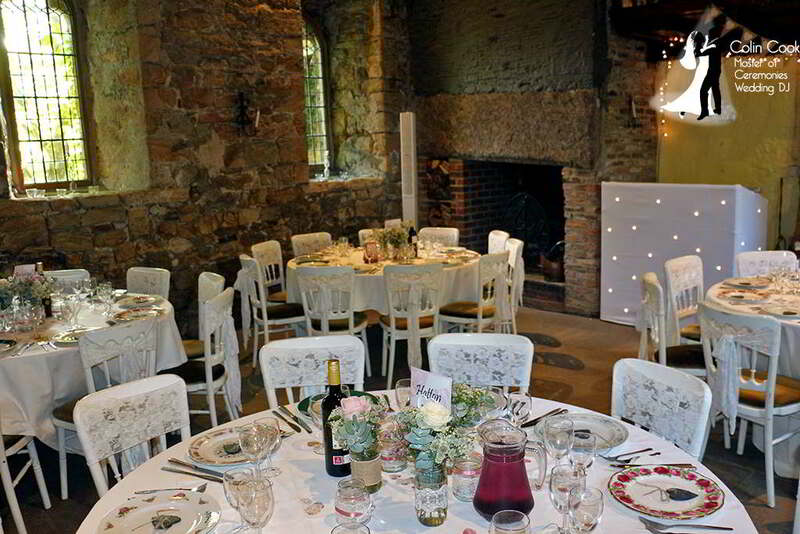 Once everyone is seated in the Medieval Hall I will welcome your guests, warm the atmosphere up a little and then generally will start your amazing personalised introduction. This is a way to involve and entertain all of your guests and share a little about you both in a humorous and friendly way. Following this I will announce you both into the room, to tremendous applause and, if chosen, an appropriate musical introduction. If you have chosen to make your Speeches before eating then I will make your announcements, again usually in a friendly, humorous way. I do tend to balance this a little differently each time depending on levels of nervousness etc – my job is to help relax and support you all. Once the speeches are over I play a wide range of music (which you can choose or influence as much as you like) at an appropriate volume level. I can also provide various activities to keep the atmosphere levels and involvement of your guests high. This include my really popular ‘Pearls of Wisdom’, a Living Guestbook created by your guests. All of this comes as part of the service so you don’t have to worry about anything. Just ask for more details. Whilst talking about my service as Master of Ceremonies, which includes music for your Wedding breakfast, personalisation, introductions, entertainment etc it is worth mentioning that this does come with a money back guarantee – if, following your wedding you don’t feel that this service was worth the additional fee just tell me why and I will refund as much of it as you want! That shows just how much confidence I have in the incredible value of this service. Ok – so food is now over and it is time for the staff to turn the room around for the evening party. I will let your guests know this, invite them to explore the beautiful House and Gardens and let them know what time to be back. Whilst the staff turn the room around I add the disco lights and am ready immediately! This is another great advantage of having me there for the day – regardless of how your Wedding runs and your timings for the day, I can fit in and be ready straight away. 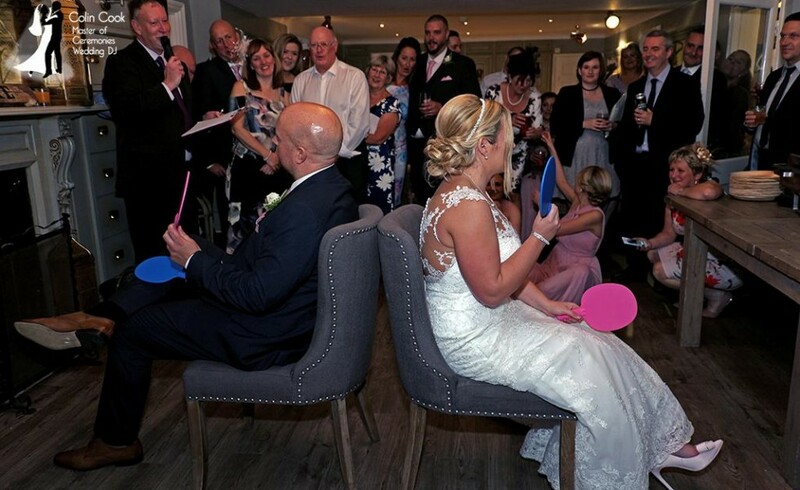 With the finish time at Crook Hall being a little earlier than at some venues this allows you to squeeze every last minute of fun out of your day. When your guests come back into the room there will be music playing and about 10 minutes before you cut your cake and do your First Dance I will inform everyone so that they all know where to be and when. I also have a quick scoot around the Bar and other rooms just to make sure everyone knows where to be and when. I then announce your Cake cutting (this can be done in a really fun way so that it isn’t the usual 5 second photo op) and then the same with your First Dance! Formalities over with, it’s party time to the end of the night, which again is marked with a really memorable, fun and involving way. If you like what you see here, please head over to my contact page and get in touch – I’d love to hear from you to discuss your wedding.